Healthy Never Looked So Easy We believe in healthy, low-cost eating. With accessible recipes and affordable products, Wegmans provides the best resources to nurture your child's growth and education. ​​ Supporting Women in STEM While nourishing her appetite, we foster a robust education-oriented community, for women to come together and support healthy lifestyles and healthy careers. We believe in Feeding Her Future, giving her the tools to pursue her dreams. 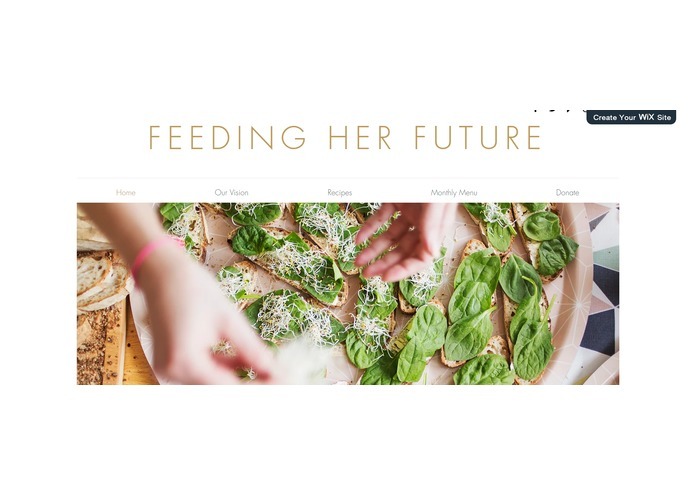 STEM Education for All At Feeding Her Future, we’re passionate about supporting all women around the world in pursuing their dreams, even in a male-dominated field. With every recipe saved and produce purchased through Wegmans, 20% of proceeds will be donated to establishing STEM education programs for women in developing countries.